The Urbanists have been engaged as Planning Consultants on behalf of Cardiff and Vale University Health Board for a proposed Wellbeing Hub located on Land within Penarth Leisure Centre, Vale of Glamorgan . When completed, the proposed Wellbeing Hub would support the delivery of health and wellbeing services to the residents of Penarth and the surrounding area. Services would be delivered collaboratively across organisations to promote a social model of care, focusing on people’s physical, mental and social wellbeing. 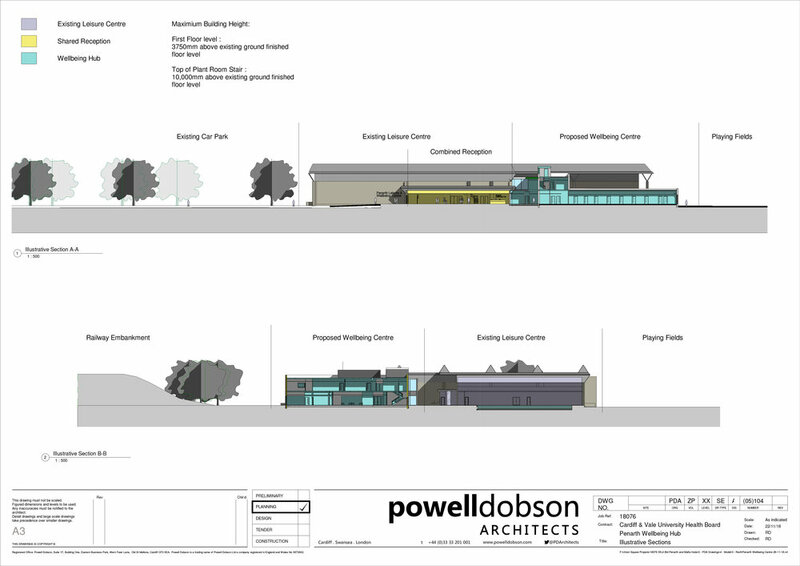 We have recently submitted an outline planning application for the construction of a two-storey extension to the Leisure Centre. This extension would be to the west of the existing building in the area of land that currently accommodates disused tennis courts. To facilitate the development, it would also be necessary to undertake internal reconfiguration works to part of the Leisure Centre, and to upgrade the existing building access. One of the key planning challenges was the tight project timescales, however, we were able to overcome this by working ‘side by side’ with the consultant team and client to ensure that all consultants had the correct scheme information throughout the process. We also managed the statutory pre-application consultation process that is required by the Planning (Wales) Act 2015. We are currently working with the Vale of Glamorgan Council to agree a positive planning decision, which is expected by Summer 2019.